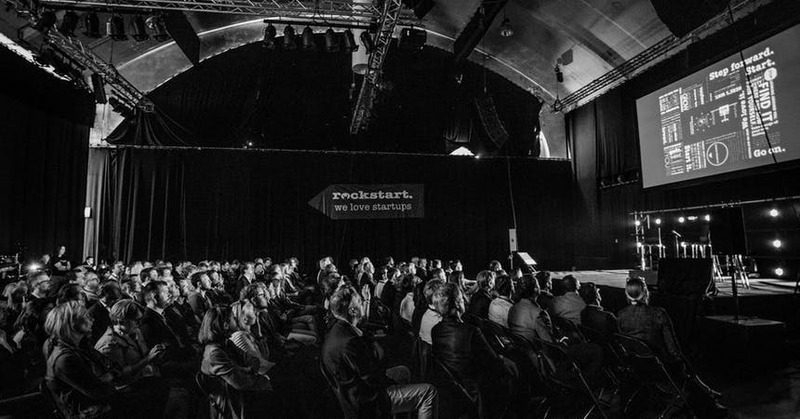 We are beyond excited to be part of the Rockstart AI accelerator programme as a marketing & communications expertise mentor. Netherlands-based Rockstart recently announced its second cohort of Artificial Intelligence startups embarking on a six-month programme to build or refine their products, connect with potential investors and customers and take their startups to the next level. Agrex AI (India) – transforms visual data into actionable business intelligence. It allows users to count customers and identify them by age and gender. Through this retailers gain valuable intelligence to better understand what merchandise to stock its stores. Agrex Video content analysis (AVCA) allows users to automatically analyse video to detect and determine events in real time. Cramstack (Bangladesh) – provides a natural language-driven interface that analyses and visualizes data with which it learns from a users behaviour. This eliminates the software learning curve seen in other Business Intelligence platforms. Cramstack can be connected with multiple data sources, which provides a smart analytics ecosystem that automatically models data to facilitate insights generation. Element 13 (France) – is a machine learning add-on for data providers such as Elasticsearch, InfluxData’s and TICK stack. It uses CLI to create, train and manage users machine learning jobs, as well as provides an API embed machine learning directly into users own application. Its mission is to facilitate AI technology adoption with the fastest time to market. It does this by removing the complexity involved with Tensorflow, allowing software developers to learn ML quickly and produce reliable results for their business. Footty (Ukraine) – uses image recognition AI technology to create high-quality foot scans and make an accurate shoe fit prediction based only on feet photos and sales data. This ensures people have the correct shoe fit. It can be used by offline and online retailers, without any application or hardware required. Medvice (the Netherlands) – uses neural networks to aid doctors in their decisions and speed up the consultation process. Medvice AI gradually learns and processes better and smart solutions to help improve care. With this AI technology Medvice consultation will be safer while reducing waiting times and being cost efficient. Pixyle (Macedonia) – the platform uses AI to train machines to recognise garments in images. The platform then performs similarity matching of the clothes in an image with the clothes of all sustainable brands that it collaborates with. Through this, it gives recommendations on where to buy the item. This makes identifying consumers taste and showing them where to buy products from sustainable brands effortless. Sentetic (Italy) – works with any equipment connected sensors, it extracts data directly from a users database or enterprise asset management system. It uses existing historical data to do a multitude of tasks from identifying unseen anomalies to scheduling tasks based on priority classes. The predictive engine analyzes and builds a forecasting model of operating condition, compares real-time data and notifies OSS if there is an anomaly. Taktify (Iran) – offers users a smart social media post management solution through AI, removing the need for media experts. By using both text data mining and image recognition it is able to provide companies valuable insights into customer feedback, profiles, and preferences. Taktify is supported by two talented Iranian women breaking the glass ceiling in their region. Xane AI (India) – an AI chatbot for companies to use for employee management. It acts as an assistant for CEO’s and through AI and machine learning is able to interact with employees on the CEO’s belief. Xane AI chatbot is able to interact with employees of organizations any collaboration platform the company uses.